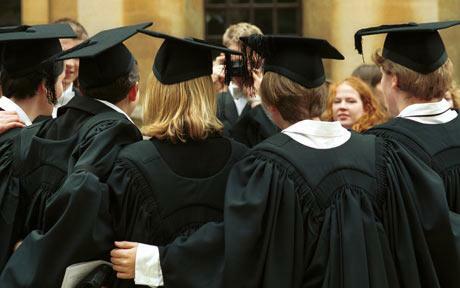 Graduate job applications are to be subjected to rigorous checks amid fears rising numbers of university leavers are committing “degree fraud”, it was announced today. A new degree verification service is being launched following claims that ex-students are deliberately lying on CVs and inflating their qualifications to get ahead in the race for well-paid positions, it emerged. The service – bankrolled by the Government’s Higher Education Funding Council for England – will allow prospective employers to check that degree grades quoted by applicants are true. It comes after research showed that the vast majority of small businesses – and only a fifth of large companies – currently verify qualifications, usually directly with individual colleges and universities. Mike Hill, chief executive of careers service Graduate Prospects, which is running the verification system, warned that the problem was likely to get worse at a time of rising tuition fees. “We know that people are exaggerating their qualifications, but we are yet to identify what proportion is down to error and what is deliberately deceitful,” he said. The Higher Education Degree Datacheck (HEDD) will charge employers £10 each to make enquiries on graduates’ qualifications. It will use a secure online database to allow companies to check up on degree grades. The system is being launched as part of an £18m modernisation fund introduced to help universities and colleges deliver better value for money. To coincide with the launch, Graduate Prospects commissioned a survey of more than 1,300 current students and graduates. It suggested that more students would be tempted to lie on CVs following a move to almost triple the cost of a university degree this summer. Of those surveyed, more than four-in-10 said the introduction of fees of up to £9,000 would make people more likely to exaggerate their achievements. As part of a trial of the HEDD system, Graduate Prospects found that only a fraction of employers checked student CVs at all, with almost no small businesses verifying grades.